HONG KONG, Nov 6, 2018 - (ACN Newswire) - The Hong Kong Trade Development Council (HKTDC) and Hong Kong Special Administrative Region (HKSAR) Government held a seminar - "Hong Kong's Experiences for International Trade: New Horizon, New Technology, New Model" - at the China International Import Expo (CIIE) today to promote the city's strength as Asia's international trade hub. 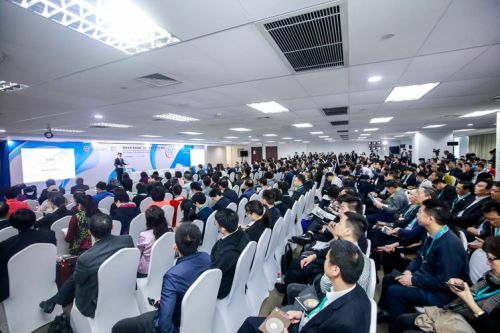 The seminar allowed international exhibitors, buyers and traders to explore issues such as big-data applications, cross-border capital flows and managing risk for enterprises in global trade. HKTDC Executive Director Margaret Fong and HKSAR Secretary for Commerce and Economic Development Edward Yau addressed the forum opening, while Fung Group's Group Chairman Victor Fung was the session's keynote speaker. In her welcoming remarks, Ms Fong said: "With Hong Kong's valuable geographical location and rich international trade experience, it can be developed into an ideal trade platform for international suppliers, buyers and traders. We could provide a wide range of professional services to help enterprises improve effectiveness and reduce possible risks. 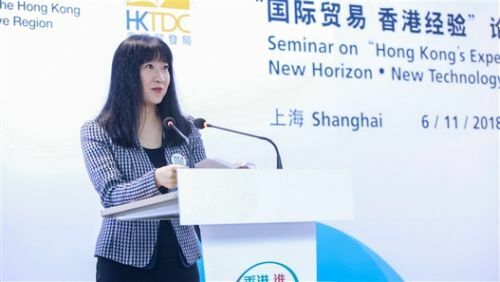 Enterprises from around the world can also connect with potential trade partners and expand their business by participating in world-class exhibitions and conferences organised by the HKTDC." Mr Fung said: "The Sino-United States trade friction drove the reorganisation of the world's supply chain, bringing in far-reaching impacts to global trade, which include pushing the Belt and Road forward as a new world trade engine that drives more emerging countries' development. Hong Kong can explore more ways to lead Chinese mainland companies to the international market and collaborate in the set-up of the global supply chain rearrangement. Hong Kong can also leverage its extensive international network to develop into a platform for international products to enter the mainland market." The seminar discussion was moderated by Salina Yan, HKSAR Director-General of Trade and Industry. 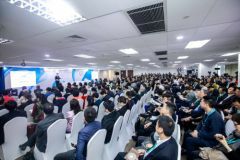 Speakers included Herbert Chia, Expert Partner, Sequoia China Fund; Lin Guangming, Chief Corporate Banking Officer, Bank of China (Hong Kong) Limited; and Lawrence Yeung, Member, Greater China Legal Affairs Committee, The Law Society of Hong Kong. The speakers explored Hong Kong's strength and experience in expanding global trade, explaining how enterprises and investors can use the city's professional services for cross-border trading, managing international trade risks and improving business effectiveness in the areas of big-data marketing, intellectual property dispute resolution, and arbitration and mediation. Mr Chia discussed big-data marketing. He said enterprises could collect useful information and consolidate valuable insights from a large pool of scattered data when designing new products and services to raise sales performance. Mr Lin noted that Hong Kong had become an important platform connecting the mainland and the global market. Government policies promoting financial services have completed Hong Kong's financial-market infrastructure, providing convenience for cross-border enterprises. Mr Yeung pointed out that Hong Kong's professionals have extensive experience in handling cross-border legal affairs and can play an important role in world trade by helping enterprises manage risks in global trade.